No project is doable without some trusty tools to assist you in getting the job done. 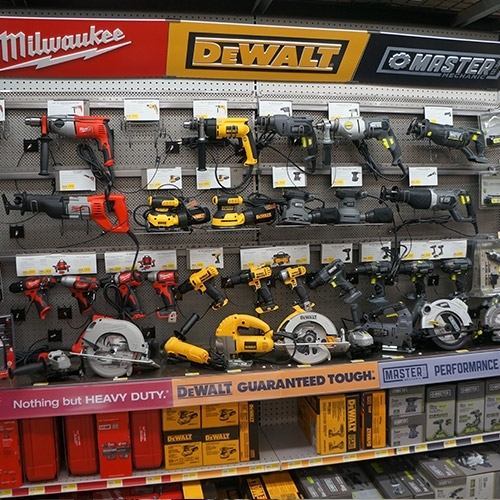 We offer popular brands such as Milwaukee, DeWalt, Stanley, Klein, Irwin, Channel Lock, Arrow, and Dremel. We cover the basics from wrenches, screwdrivers, power tool accessories, sockets, files, hammers, tape measures, and toolboxes.